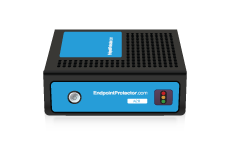 You can use the Virtual Appliance of Endpoint Protector for all business sizes. It is available in VMX, PVM, OVF, OVA, XVA and VHD formats to be compatible with the most popular virtualization tools. 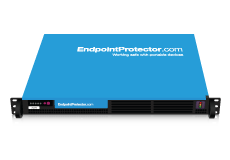 All you need to do is to install the appliance in a Virtual Environment and enroll your mobile devices in the Endpoint Protector management console. Mobile Device Management Policies are only a few clicks away. We will send you by e-mail an evaluation copy of our product, so please provide the information stated below. On request, for those already taking advantage of Amazon Web Services, the Endpoint Protector Virtual Appliance can be provided as an EC2 Instance. Simply submit the request below and one of our representatives will contact you shortly to provide the required information and AWS Instance. 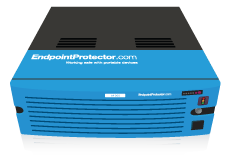 The Endpoint Protector Hardware Appliance protects networks with more than 24 mobile devices. You will get from us the hardware with everything preinstalled so that the only thing you need to do is to connect the appliance to your network, assign an IP and then enroll mobile devices. A choice of different models is available for your organization's needs. Installation is not required. After pushing the power button, simply assign an IP in the local network and enroll mobile devices in the server. 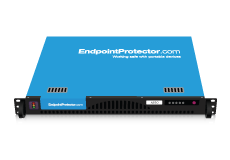 If you opted for Device Control and Content Aware Protection, deploy Endpoint Protector client software on the endpoints (laptops, desktops, servers) you want to protect.